Hello, World Ballet Day 2016! Want the link to the Oct 5, 2017 coverage? Click HERE! Prepare yourself to watch an entire day of nonstop, live-streamed professional ballet, from every corner of the globe, on Tuesday, October 4th! If you are a veteran to this event, you know the drill: it will start late Monday evening for those of us in North America, as The Australian Ballet kicks off the day around noon, local time. Then we will travel around the world and watch four hours with the Bolshoi Ballet, followed by The Royal Ballet in London, and on to North America with the National Ballet of Canada, and the San Francisco Ballet wrapping up the event. What times will each of the five companies be streaming, you ask? What you can expect to see: each company will commence their coverage with morning class (my favorite thing to watch! ), then move on to rehearsals for upcoming performances, backstage preparations, interspersed with interviews of artistic directors, choreographers, dancers, etc. Something new this year: the event will be streamed via Facebook. This is history-making in that Facebook has never attempted anything this big and this long before. Yikes! But fear not–if you’re not a Facebook person, you can still watch it at the above link, or check any of the five main companies’ websites. Here’s a World Ballet Day teaser. Enjoy. This will be the third year of the multi-company collaboration. 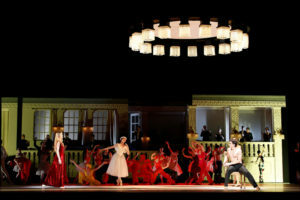 Credit for the original idea goes to London’s Royal Ballet who, in 2012, live-streamed a nine-hour day of behind-the-scenes footage, which drew tons of viewers and made a lightbulb go off in the heads of a lot of artistic directors and administrators. Here’s a link to my posts from the first two World Ballet Days, 2015 and 2014 respectively. Check ’em out to see what you can expect for this year’s event. I will be posting more details the day before the big event, so pop by again for more information. Get ready, gang. It’s going to be one knockout great day of ballet. And while you’re at it, get ready for the arrival of Book 2 of the Ballet Theatre Chronicles, OUTSIDE THE LIMELIGHT, available for preorder on–hey!– World Ballet Day! Check it out HERE. 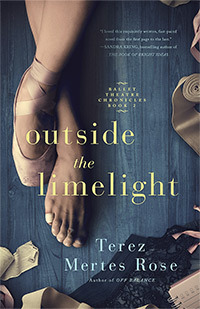 In honor of World Ballet Day the forthcoming arrival of OUTSIDE THE LIMELIGHT, Book 1, OFF BALANCE, is FREE all through October via Apple, Barnes & Noble, and Amazon! This entry was posted in Ballet and tagged 2016, Ballet fiction by The Classical Girl, Ballet novel Outside the Limelight, Bolshoi Ballet, Live stream ballet on Facebook, National Ballet of Canada, Royal Ballet, San Francisco Ballet, watching live streamed ballet on October 4, World Ballet Day 2016, World Ballet Day on Facebook on September 1, 2016 by admin. World Ballet Day 2015 is on! Welcome to The Classical Girl’s World Ballet Day 2015 page! Glad you could make it. I will update this page prior to, and throughout World Ballet Day, so you can have the most relevant links and information as the day unrolls. And want to hold onto the ballet world for more than one day? 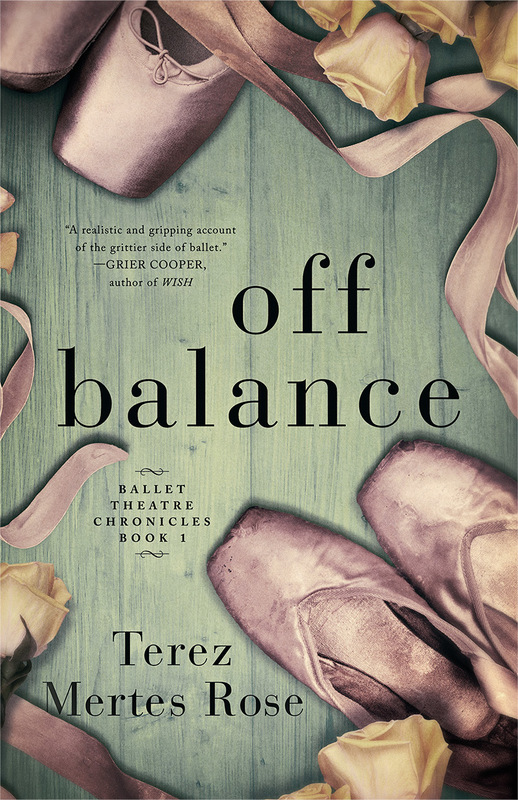 To help celebrate World Ballet Day, my ballet novel, OFF BALANCE, is only $2.99. 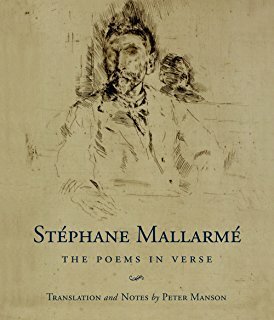 Check it out at http://amzn.com/B00WB224IQ! San Francisco Ballet: 4pm Eastern, 1pm Pacific, and, whaddya know – 1pm local time! How to watch? 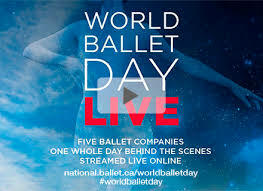 You can watch World Ballet Day live streaming at the official website, or from each ballet company’s YouTube channel. 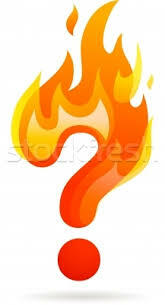 Below you’ll find links to the company’s website or their YouTube channel. And to alleviate your concern about watching the wrong channel at the wrong time, all five companies will be broadcasting the entire 23 hour event. 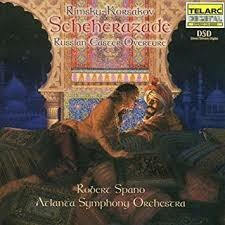 You just might be hearing Russian instead of English, or vice versa. A change from last year: the day will include pre-recorded footage from a wide range of regional dance organizations geographically close to the five participating companies, including Bangarra Dance Theatre, Ballet of China, Royal New Zealand Ballet, Scottish Ballet, Birmingham Royal Ballet, English National Ballet, National Nederlands Dans Theater, Northern Ballet, Hamburg Ballet, Boston Ballet, American Ballet Theatre, Houston Ballet, Les Ballets Jazz de Montréal, and the Pacific Northwest Ballet. Artistic Director David McAllister’s brand new production of The Sleeping Beauty. World premieres, revivals, special projects, festivals, international tours, guest company presentations on the Bolshoi Theatre stages, and a gala dedicated to the memory Maya Plisetskaya. Behind the scenes at the matinee performance of Kenneth MacMillan’s Romeo and Juliet taking place during World Ballet Day. There will be a special interview with William Forsythe about SF Ballet’s North American premiere ofPas/Parts, a work never performed by a company other than Paris Opera Ballet. Pre-recorded footage from other companies to include: Houston Ballet (5:00pm PDT) and Pacific Northwest Ballet (5:30pm PDT). It’s been the burning question for many a dance fan: Is there going to be a second, equally big World Ballet Day, like last year? Back in June, The Royal Ballet made their announcement, stating yes, plans were on for a repeat of last year’s unprecedented sensation. But further details proved elusive. I’ve been Googling, Internet surfing, visiting dance forums, dance journals and blogs, company websites, trying to find out who would be collaborating with the Royal Ballet, because it’s got to be a collaboration. Twenty-four hours of nonstop streamed ballet can’t be accomplished by one company, no matter how impressive they are. Finally, today, the word is official. Following last year’s unprecedented collaboration for the first World Ballet Day LIVE, five of the world’s leading ballet companies will once again stream 23 hours of live, behind-the-scenes footage on Thursday, October 1. The Australian Ballet, Bolshoi Ballet, The Royal Ballet, The National Ballet of Canada, and San Francisco Ballet have partnered to provide viewers around the world with an inside look at professional ballet companies in the studio, on tour, and in performance. For more information, visit worldballetday.com. In lieu of writing blog after blog about World Ballet Day, which my non-ballet readers might find tiresome, I will be updating this page regularly. So do stop by again. Next week, you’ll get the viewing schedule of the event, and details of what you might catch at each stop along the way. For a sense of it all, take a peek at last year’s World Ballet Day blog of mine, which offers times, schedules, etc. 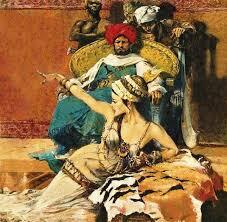 My hunch is that all the times will prove to be the same, but obviously what is being rehearsed will change. Check out that post HERE. 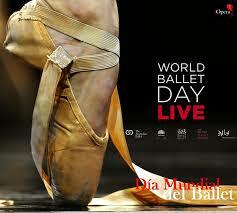 You’ll also find some still-active links for footage of World Ballet Day 2014. If you’re new to The Classical Girl and my writing, here’s an added incentive to swing by here the week of World Ballet Day: a special promotion for my ballet novel, Off Balance. 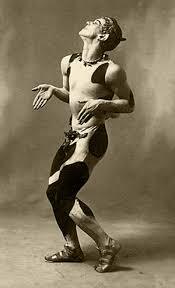 Because I aim to celebrate World Ballet Day and share ballet with the world in proper festive style. Woo hoo – I feel a party coming on! Check it out at Amazon HERE. So be sure and mark the day, folks. Thursday, October 1st. And just a head’s up: for the Australian Ballet, which starts the ballet-viewing extravaganza, their October 1st starts when much of us are still in the throes of September 30th. Plan to tune in Wednesday evening at 10pm Eastern Time, 7pm Pacific Time, when it will be 12 noon local time on October 1st. And then prep yourself for a long, memorable day of dance. This entry was posted in Ballet and tagged all day streaming of live ballet, annual ballet streaming day, Australian Ballet, ballet fiction, ballet novel, Bolshoi, National Ballet of Canada, Off Balance novel, Royal Ballet, San Francisco Ballet, World Ballet Day 2015 on September 8, 2015 by admin.